Signs of economic recovery in Ireland continue with 1,317 new Irish companies being formed in February of this year - an average of 47 per day - up 6% on February 2012. 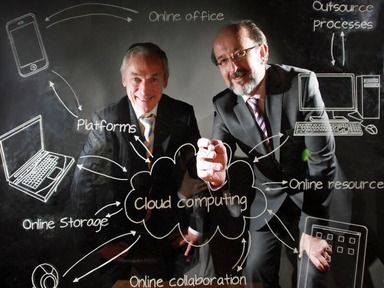 This is the highest figure for Irish company start-ups in February since 2008. Added to this, 2,706 Irish businesses were registered, up 5% on February 2012 (2,577). If we combine new companies and businesses we see a total of 7,645 brand new Irish Start-Ups for the first two months of the year. This is the highest combined figure, for start-ups in the first two months of the year, since 2007 when 8,655 were recorded. These start-ups have contributed to just over 3,700 individuals being made a director of an Irish company for the first time this year. The Professional Services sector remains the most popular industry for company start-ups accounting for 25% of new companies. Wholesale & Retail is second accounting for 11% of start-ups. IT and Social & Personal Services companies account for another 10% of start-ups a piece while construction rounds off the top five with 7% of start-ups.